Gretchen and Ansel have been haunted by the disappearance of Gretchen's twin sister for years. They were with her in the deep, dense woods when a faceless attacker began chasing them, but no one believes Gretchen when she says she's sure that it was a witch who took her twin. Now eighteen and nineteen, Gretchen and Ansel have been kicked out of their step-mother's house, and they find themselves across the country, in a sleepy town called Live Oak, South Carolina. By chance they meet Sophia Kelly, a beautiful young chocolatier with a hidden past. The people of Live Oak either love her or hold her responsible for the mass exodus of young people from the town each summer. The longer the siblings stay with Sophia, the more Ansel falls for her and the more skeptical Gretchen becomes. Sophia Kelly is hiding something, and the answer lies with her annual chocolate festival...which is quickly approaching. 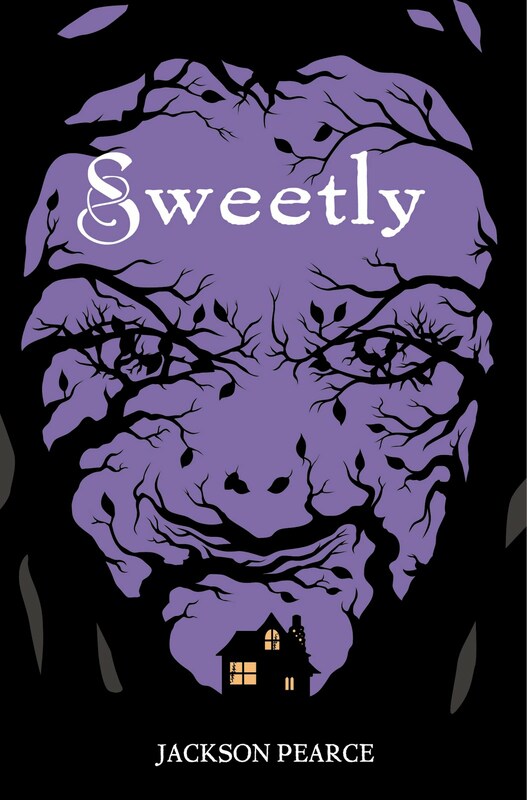 Jackson Pearce's Sweetly is an engrossing, foreboding, and darkly sweet retelling of "Hansel and Gretel" with some unexpected twists. It is a companion to Pearce’s novel Sisters Red, a retelling of "Little Red Riding Hood," but it easily stands on its own, with a few details connecting the two. The setting of this book is what really makes it stand out—Sophia's home and the town of Live Oak in the middle of the summer is idyllic, charming, and even a little lazy, but in a bit of a foreboding manner, with dark things happening beneath the pretty facade. It's easy for the main characters to be lulled into a false sense of security here, but Gretchen's inability to let go of her twin's disappearance and her curiosity about the missing girls of Live Oak lead her to Samuel, who is certain that Sophia is hiding something, and her eyes are opened. She's preoccupied with the idea that she is simply a mirror image of her twin, bound to the same fate, but her time with Samuel and their budding relationship force her to stand on her own and see herself as a person. Sophia's character makes things certainly more complicated, and she'll be the perfect topic of debate as readers are forced to analyze her motivations and role in the disappearances, all the way up to the climactic ending. 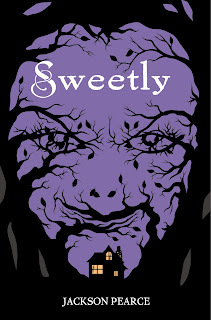 Sweetly is an entrancing new fairy tale about healing, letting go, taking back your power, forgiveness, and finding love. Cover Comments: I am in love the this cover--it is so clever. The trees and the cottage and how they make up the witch's face is so brilliant and creepy, and the colors in the cover are absolutely perfect. I love it. This cover is definitely awesome!! And the story sounds very good! I love retellings! I'm reading Sweetly right now and I have to say I'm loving it! She's great at creating an atmosphere of menace. Jackson Pearce is pretty awesome in my book. I was very impressed by her Sisters Red and I really enjoyed Sweetly! I love fairy tale retellings set in the present day. I ate so much candy when i read this book!! Great review!! Sweet Venom 2 Title Hunt! Win an All These Things I've Done Audio Book! The Hunger Games Collector's Edition! Looking Ahead: Julie Cross and Tempest! Video Fun a la Daughter of Smoke and Bone! Gearing Up for Beautiful Chaos With a Giveaway! Cover Talk: The Next Terra Elan McVoy Book! Looking Ahead: Marissa Meyer and Cinder!